I wish him well in making a most boring, confected spectacle of commercialism interesting. With the Test Cricket at the Gabba finished just a Few Minutes after 6:00 AEDST, SEN were spared a Traffic Jam if they moved to 1377 at 8 for the Final Hour Of Play And AO Live to 1116 at the Same Time, Would’ve Missed the Entire Football Nation Big Blue Match On 1377 going on Right Now. At least finally they are justifying the 1377 frequency. It’s getting good use over summer. If my maths is any good and what they said was being programmed actually aired there was 94 hours live sport on 1377 this week, of which I believe 83 or 84 hours was unique to 1377 (I’m not sure what’s been airing on 1116 from 11pm-midnight). I’m not sure a lot of what sport they’ve been airing is radio stuff (tennis isnt great on radio personally) but it is great to have an alternative source to hear live sport. Su 11am-1pm ? 1pm-mn mix of AO/BBL. As someone who isn’t necessarily into ratings on tv or radio it’s probably hypocritical of me to mention them but none of this rates very well. Pacific Star was a good alternative little company before the present owner ruined it! Their ratings haven’t improved with all Mr. Hutchison’s swagger, if anything they’ve gone down. Yep, and now it’s a business focussed on its’ aim - that being producing and airing live sport (both on radio and in print). I’m not necessarily a fan of everything they’ve undertaken since the Crocmedia merger think the steps of eliminating CRR etc needed to be done. It would have been day 5 of the test today which has thrown all sorts of schedules out the window on multiple broadcasters. Noticed SEN was taking the NBL this evening which was also on SEN+. Then abruptly at 8:30pm it went to dead air and the Big Bash Nation pre-game coverage then started. NBL continued on SEN+. No announcement to say that the NBL continues on SEN+ or a notice saying 1116 listeners would now be going to the BBL. Quite a mess. Yeah, too tight to put someone on in the studio to throw to all this stuff. Could have said NBL was on 1377 at 7pm (or 7.30pm?) and taken some talkback for an hour until the BBL tonight. So the 3MP program, SEN+ is clearly being run out of a computer the same way CRR or MyMP was. No one employed. Could the public holiday be the reason for the computerised switch? The cut over was actually on the 3AK program, 1116 SEN. NBL continued on SEN+, it was SEN that switched over to Big Bash Nation. No, it’s live sport, you employ the panel ops needed, they should be able to write revenue if they plan to put it to air. Perhaps they feel the need to cost cut, and with resources in Atlanta it may have made more sense to not employ people to do the job on a public holiday. 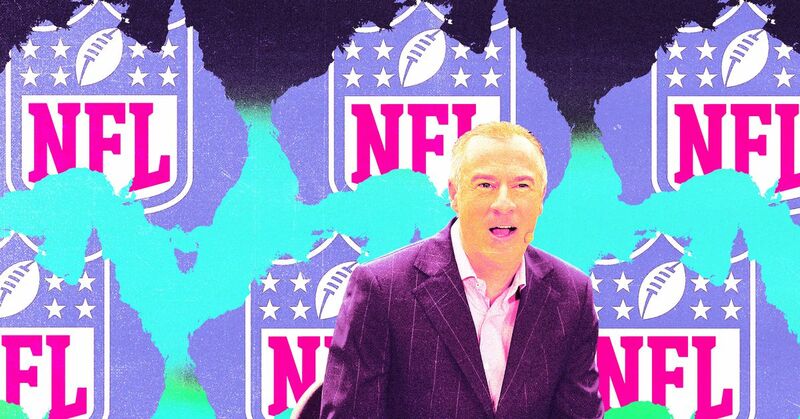 For the second year in a row, Whateley will provide the play-by-play for listeners in Australia. His style presents a stark and entertaining contrast to American football announcers. Was well written but didn’t sound anywhere near pious and self-serving enough to be about old mate Whateley. Not sure what it is about this smartarse that rubs me the wrong way, he’s just an instant dial changer for me personally- always has been though. One day at work I had a colleague tell me at lunch he doesn’t like Gerard because “he uses big words, should just talk about the footy”. I think you can handle big words, so maybe he’s annoying on a couple of layers. I don’t particularly like the way he talks down to talkback callers, portrays himself as smarter than everyone else (big words are part of that actually, I feel he chucks them in sometimes just to show how clever he is). I’m not a fan of his calling style for pretty much anything I’ve ever heard him call, which is a shame cos I love Huddo calling footy- although I do prefer him calling on tv where every third word isn’t a sponsor. I used to love listening to KB (can’t stand him and Rothfield together permanently now) 9-12, used to quite enjoy him clearly winding up his guests whilst being reasonably informed across a few sports, and he was happy to say when something was outside his knowledge base. GW is just so very different. I’ve listened at times (do try and listen to GW/King 10am Mons for eg), find him and certain other guests (Murphy for eg) as a bit of a wankfest and self love in of how good they think they are. Do believe the tone of SEN has changed, not necessarily for the better personally. Understand what they’re trying to do, I’m not sure the market is quite as there as they believe though. Are SEN2 gonna be Used for Tonight’s AFLW clash between Geelong and Collingwood As SEN And SEN+ has other Live Sport Planned?